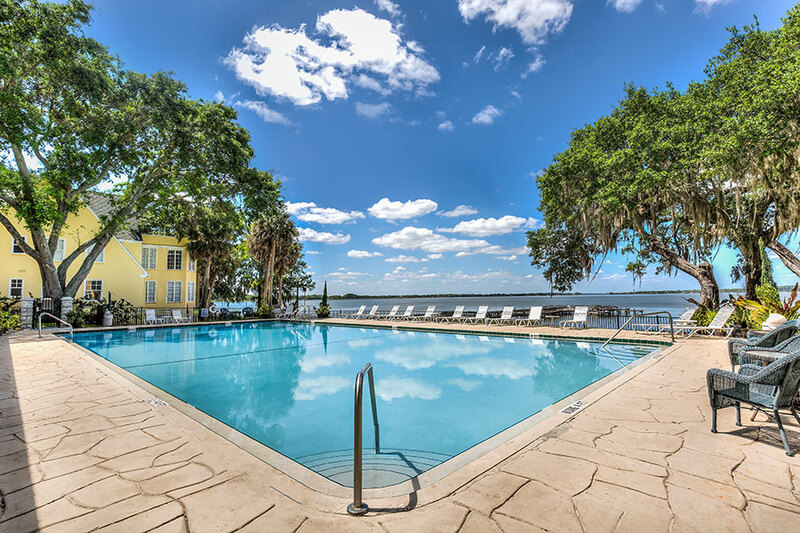 The Historic Lakeside Inn, Located in the Heart of the Mount Dora Historic District, Overlooking Lake Dora, Opened in 1883, is the Oldest Continuously Operated Hotel in the State of Florida. As one passes through the stone entry gates one quickly enters an unique place, distinct from any other Florida destination. 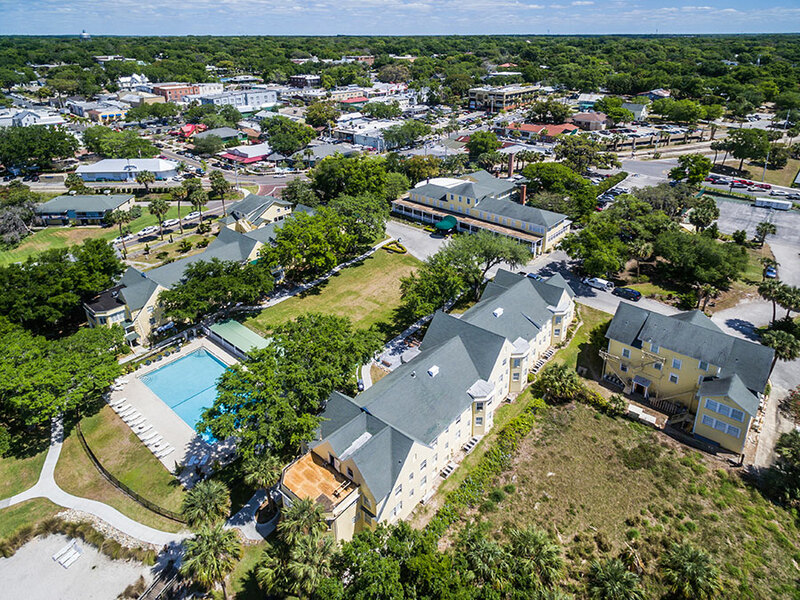 Viewing the beautifully landscaped grounds and the collection of cheery yellow and white buildings, all overlooking Lake Dora, one is aware instantly of the historic significance of this classic and lovely Inn. 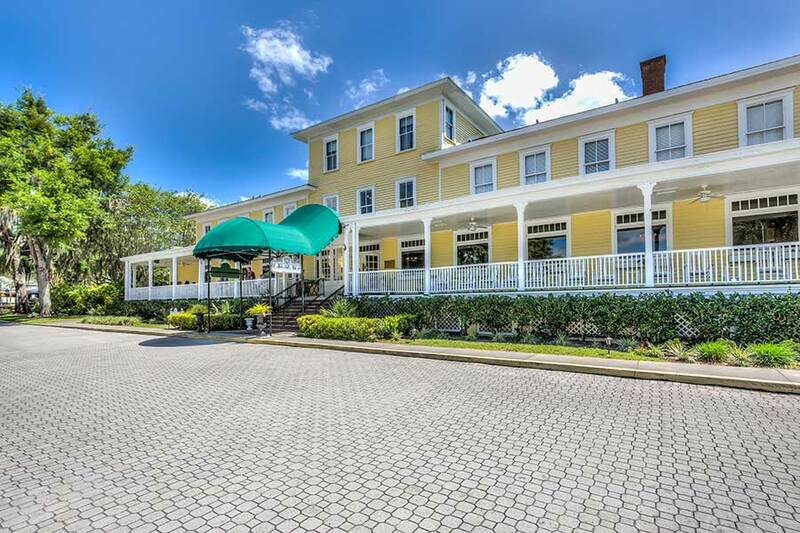 The 134-year-old Lakeside Inn is not just another typical Florida hotel, it stands as a landmark to Florida tourism. 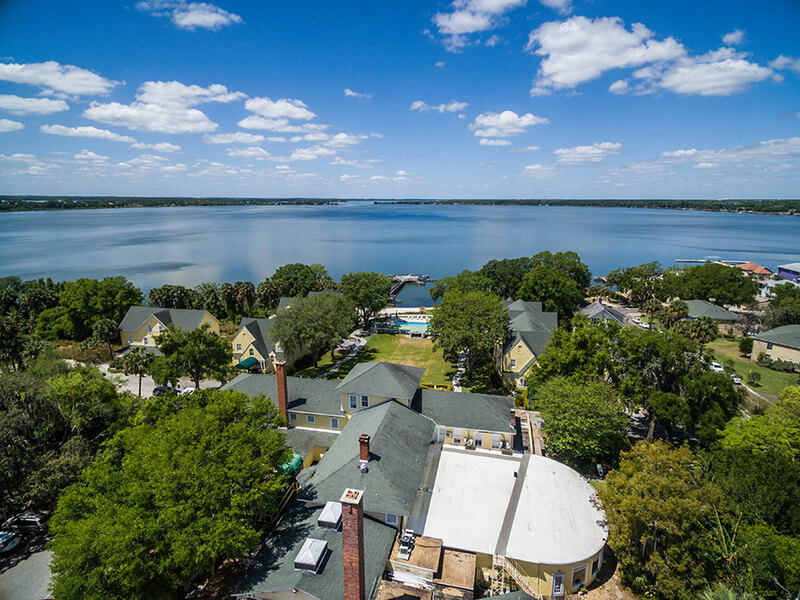 Built in 1883, Lakeside Inn is the oldest continuously-operating hotel in the State of Florida. The Civil War had only ended eighteen years previously and the South was rebuilding. People of means were traveling once again and for those in the cold northern states, the lure of sunshine and warmer weather was as much of a draw then as it is today. It was the Victorian Era and leisure activities like bird watching, fishing, picnics and reading were all the rage. 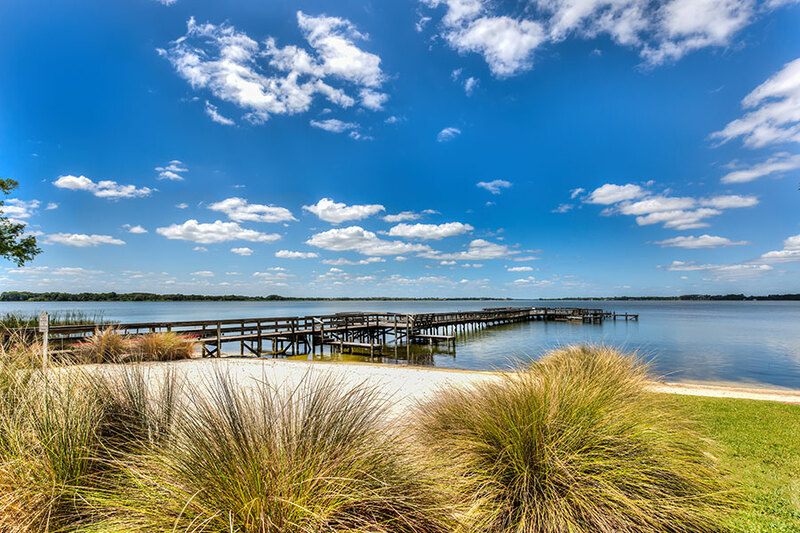 During this era, this Central Florida Lakes Region became an extremely popular destination and, thus, hotels and resorts began appearing in every town and around every lake. 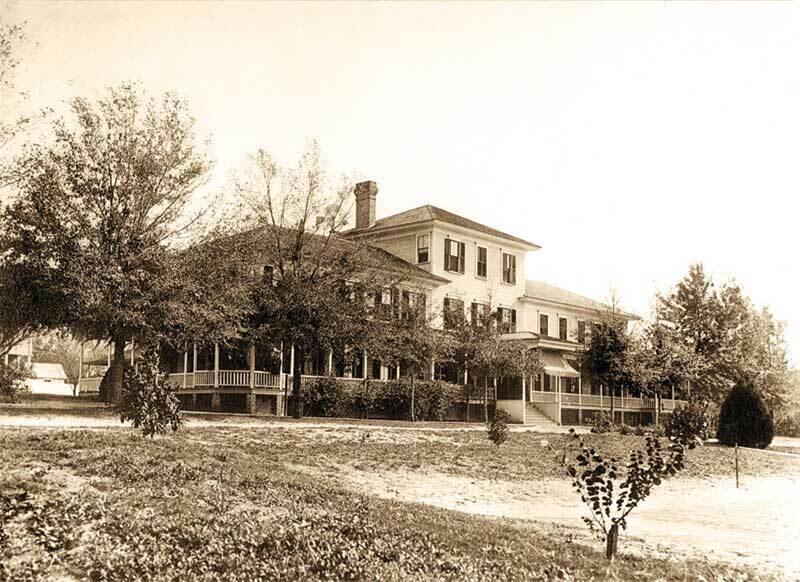 The first guests to travel to Lakeside Inn, then called the Alexander House, were true pioneers, since the typical journey from New York would take approximately a week. 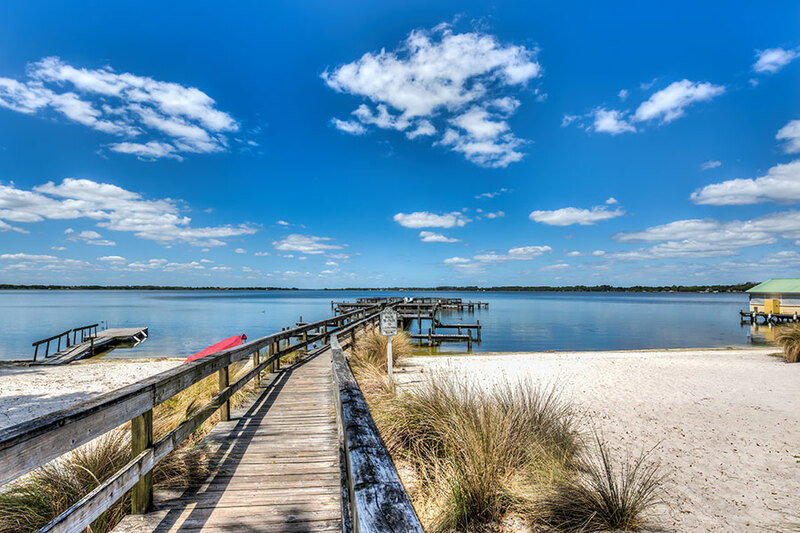 Most guests would arrive by lake steamer from Jacksonville through the Harris Chain of Lakes and the Dora Canal, as rail service to Mount Dora was still years away. The Roaring 20’s saw Henry Flagler establish rail service down the entire east coast of Florida, all the way to Key West. Large, luxurious hotels were built and the allure of the Central Florida Lakes Region declined, so many hotels and resorts suffered. The Great Depression soon followed leading to the demise of still many more. Eventually, one-by-one, each met its own unique fate due to neglect, fires or redevelopment of the real estate. Lakeside Inn is the last remaining Victorian Era hotel still standing here in Central Florida. 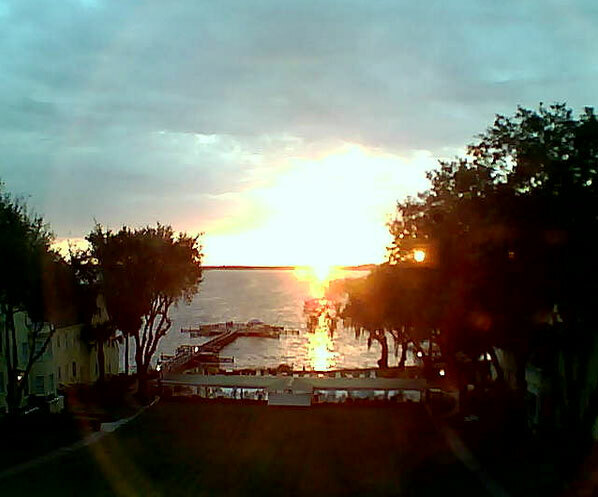 Many prominent and historic figures have appreciated the gracious comfort of Lakeside Inn over the years. After the completion of his presidency in 1929, President Calvin Coolidge and his wife Grace chose Lakeside Inn for a month-long vacation from the New England winter (January 11 – February 12, 1930) and remain, to this day, the most distinguished of the Inn’s guests. 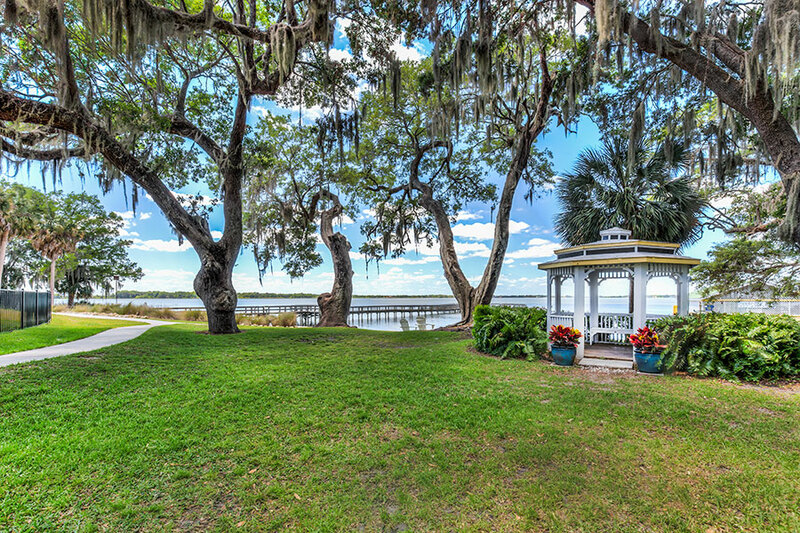 When not fishing, boating or picking local oranges, they relaxed on the grand veranda rocking chairs and watched stunning sunsets over Lake Dora as guests do today. Lakeside Inn was also the film set for the 1981 John Schlesinger movie, Honky Tonk Freeway. 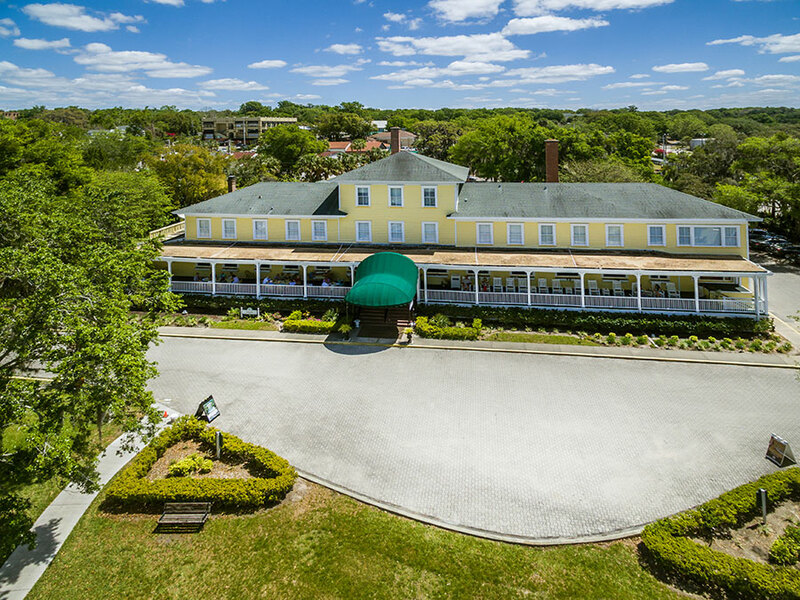 Listed on the National Register of Historic Places, the venerable Lakeside Inn is the oldest continuously-operated hotel in the State of Florida. The Inn is privately-held and the current owners are committed to its restoration and preservation. 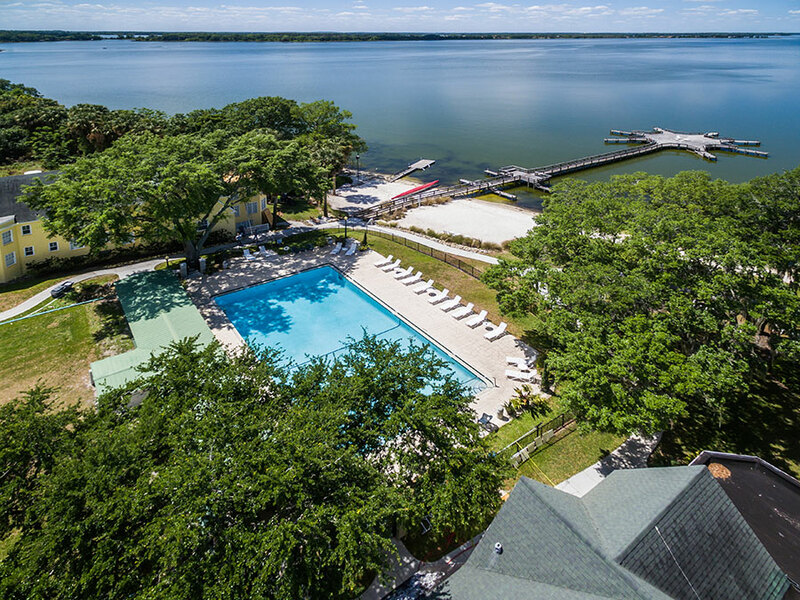 Lakeside Inn currently features 90 comfortably-appointed guest rooms and suites, The Beauclaire Room for dining, Tremain’s Tavern with its weekly schedule of great entertainment and classic cocktail menu, the Sunset Pool Bar and The Gatehouse, a shop featuring an enticing array of local art, crafts and select indigenous Central Florida gift items. Lakeside Inn also offers a variety of indoor function rooms and picturesque outdoor venues perfect for hosting a wide variety of social and business events. Work to fully restore and preserve Lakeside Inn began in January of 2011, when it was purchased by Jim and Alexandra Gunderson. After years of deferred attention, the historic Lakeside Inn was near the end. Work began immediately and has never stopped. Leaking roofs, rotted window sills and siding and crumbling stucco all allowed for excessive amounts of water penetration. After years of this type of exposure, the structural makeup of the five buildings began to suffer immense damage. As areas weakened or gave way, it led to even greater structural consequences. In addition to those issues, there was also the collapsing pool, an irrigation system that no one ever remembered seeing work, overgrown landscaping that was also threatening the various buildings and an air conditioning and heating system that had long since collapsed and had been replaced by a random assortment of leaking window units. In the service areas, employees had learned to avoid walking in certain areas for fear of falling through weak floors. Half or more of the equipment in the kitchen no longer worked and the other half required daily nursing. All-in-all the Inn was in a pretty sorry state and was living on borrowed time. While a great deal has been accomplished over the years since the start, there is still much to be done. Restoration work continues on a year-round basis. Each Monday morning the crew arrives and the week begins. 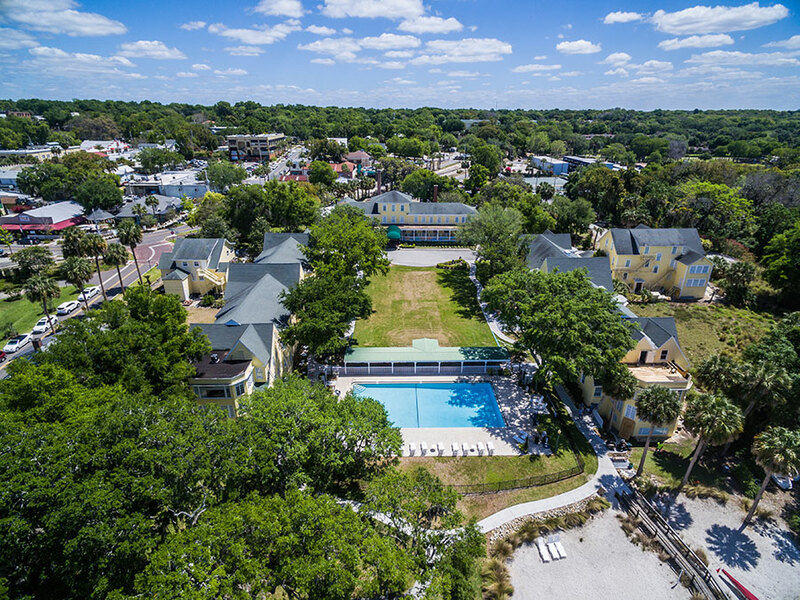 It is expected that this pattern will continue for many more years, ensuring that Lakeside will be here to be enjoyed as part of the Mount Dora experience for decades to come. We invite and encourage you to come and enjoy the truly unique experience of staying in Florida’s Most Historic Hotel. The floors will often creak and you will surely see areas that still need attention. But you will also experience something uniquely real and indeed very special. Certainly a piece Florida history that is well worth saving and preserving. 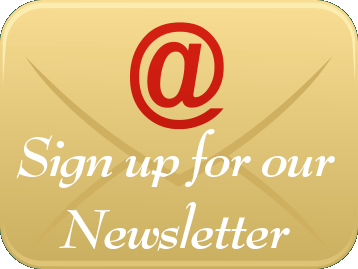 We are committed to this effort and if you approve of what we are doing, would encourage you to become a Friend of the Inn and follow our progress through occasional visits and through our regular newsletter.